3. You will receive your SEO Audit within 24 hours. If not, we can help! No fluff, just results. Guaranteed. Why is Google Local important to me? Millions of people use Google every day to find places in the real world, and we want to better connect Place Pages – the way that businesses are being found today – with the tool that enables business owners to manage their presence on Google. 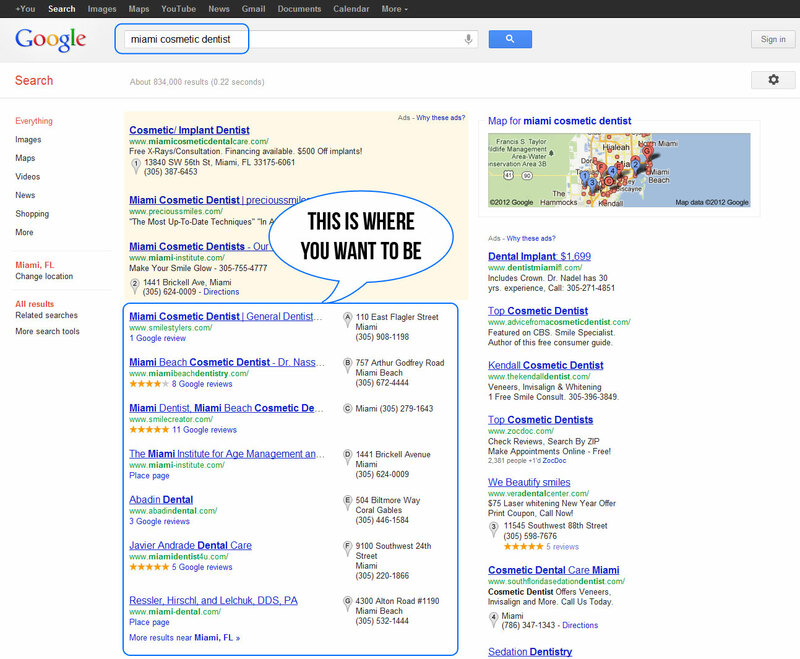 Google merged those same Places Pages with its own social network named “Google+”, the result was “Google+ Local”. Google+ Local was rolled out on May 30, 2012 and with it came an incorporation of Zagat scores into the Google review structure. As Google recognizes a search to have “local intent”, it displays the 7-Pack to bring its user a better result and a better experience for their search. It even goes as far as to present the 7-pack prominently above the SERPs along with a map to the right that displays the same 7-pack businesses in their geographical location within the area. Essentially, this means being one of these seven businesses is extremely valuable to the overall success of your business, and your bottom line. Just results, no fluff… if your Google Places ranking is low or non-existent, we will get you where you want and need to be… in the lead. Customers are unable to walk through your doors when they don’t know you exist. Results speak for themselves, solidify your presence in your online local market. Request an SEO Audit to further understand your options. Studies have shown that as early as 2010, 97% of consumers are now going online when looking to find a local supplier. Google themselves released data showing that a whopping 20% of searches have local intent! Enter Google Places Pages, these statistics alone emphasize just how vital and valuable ranking within top 7 Google Places (7-Pack) listings has become to the success of any local business. Since the introduction of Google Places, business owners have steadily become more and more proactive in their efforts to obtain front page placement within their local market. Initially, getting into the Google Places 7-Pack was as simple as verifying your listing, adding your services, and uploading a catchy photo for good measure. However, these tactics alone are no longer enough to obtain a top spot; increased awareness has caused the competition for this prime piece of online real estate to skyrocket. Think about it this way, would you rather have a business in Time Square or at the bottom of the ocean? 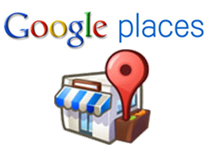 Google Places is where you want to be as a local business. As a business owner aiming to cement your position (literally) in an online local market, having a proven strategy in place is vital to successfully capturing and retaining your placement in the coveted Google Places 7-Pack. Employing a “White-Hat” SEO strategy is the key to providing your business with a foothold and longevity in your online market. Our team of optimization experts can and will deliver the desired results for your business. No fluff, no over promising, just bottom line results.